India has been working in cooperation with 33 countries in the area of peaceful use of outer space, the government today said. India is pursuing cooperation with other countries on peaceful uses of outer space. India has been working in cooperation with 33 countries in the area of peaceful use of outer space, the government today said. India is pursuing cooperation with other countries on peaceful uses of outer space. Currently, cooperative arrangements are signed with 33 countries including Russia, United Kingdom, United States of America, Egypt, France, Germany, Hungary, Indonesia, Israel, Italy, Japan, Kazakhstan, Mauritius, Mongolia, Myanmar, Republic of Korea and Saudi Arabia, said Jitendra Singh, Minister of State for Department of Space in a written response in Lok Sabha. The countries also include Syria, Spain, Sweden, Thailand, Norway, Peru, The Netherlands, Ukraine, Argentina, Australia, Brazil, Brunei Darussalam, Bulgaria, Canada, Chile and Venezuela. He said that the areas of cooperation include Remote Sensing of Earth, Satellite Communication, Launch Services, Telemetry and Tracking Support, Space Exploration, Space Law and Capacity Building. 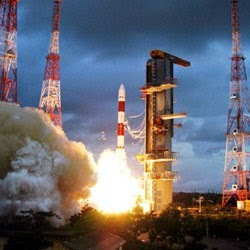 "To utilise this cooperation to the optimum level, Indian Space Research Organisation (ISRO) is pursuing cooperation in advanced areas of space science and technology, including deep space navigation and communication support for space exploration missions, joint realisation of earth observation satellites with advanced scientific instruments, capacity building and Disaster Management Support," Singh added. Get all posts directly in your mail. Topics: India International ISRO Most Popular Photos Russia Space Space Cooperation U.K.